The section Kaunas–Ramygala in Lithuania is estimated to be 78 km and is planned to include construction of seven road viaducts, 11 railway viaducts, three ecoducts and four railway bridges. This section also includes one of the most prominent constructions of the whole Rail Baltica railway line – the longest railway bridge in the Baltic States, which will provide 1.7 km long way over the river Neris. The total contract price is 6 979 893 EUR (excluding VAT). The design services for the construction of the railway substructure, superstructure and related civil structures will be delivered by IDOM within the next 24 months. The contract also includes site investigations, value engineering, development of the master design and detailed technical design. Moreover, design supervision services also will be carried out during the construction period. “Particular attention is given to the Rail Baltica Project. 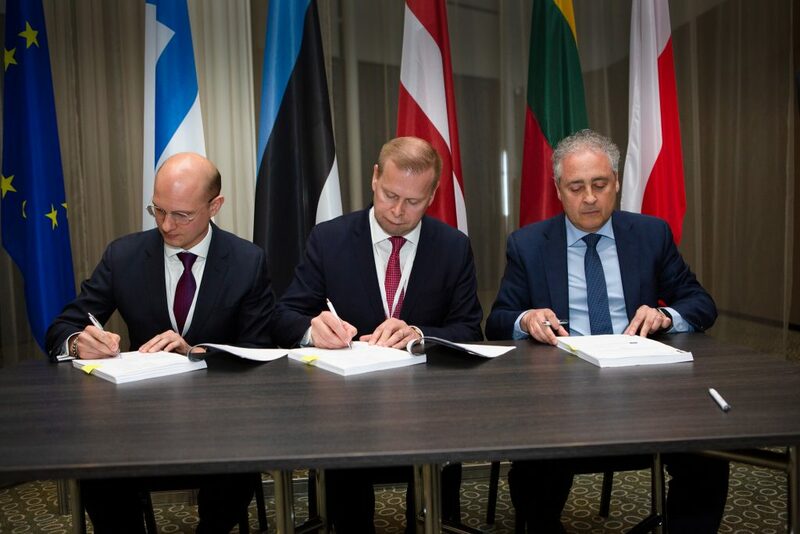 Progress of the implementation activities towards Latvia border once again endorse our commitment to implement the Rail Baltica project in time, effective and transparent use of allocated finances. There is a special plan for infrastructure development approved and land acquisition process for the main line will be finished soon – timely completion of the design activities will enable us to start construction activities in 2021,” the Minister of Transport and Communications Rokas Masiulis said. In total, 7 out of 11 procurement procedures of the detailed technical design services for the main line of Rail Baltica have been launched, covering 57% of the entire length of the line. For Estonia, the detailed technical design procurement procedures are underway for the entire line from the Latvian/Estonian border to Tallinn. In Latvia, two out of four designs have been launched around Riga (Central section) and the same for Lithuania – two sections out of four, spanning from Kaunas to the Lithuanian/Latvian border.